Fainting happens when you briefly have too little blood flow to your brain. Often, it’s connected to low blood pressure, bradycardia, tachycardia, or other heart conditions. If you faint regularly or have suddenly started fainting, it’s important to see a cardiologist promptly. 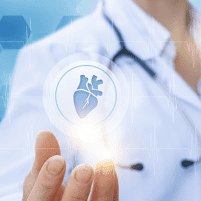 The highly experienced cardiology care team at Healing Hearts Clinic in Conroe, The Woodlands, and Huntsville, Texas, is here to support you. Book an appointment now through the online tool or by phone. When you faint, you temporarily lose consciousness. Fainting is typically caused by inadequate blood to and within the brain. Usually, you're most prone to fainting when you've got low blood pressure and your heart's not able to deliver sufficient oxygenated blood to your brain. Fainting can be caused by many things, and the cause often isn't clear. However, it's well-established that men and women who already suffer from low blood pressure, arrhythmia, heart disease, or other heart problems have an increased chance of fainting. If you suffer from a heart problem, your cardiologist can help you take steps to reduce the chances of fainting. What are the warning signs of fainting? You may have several symptoms at once, and these things tend to happen suddenly to make you feel faint. Sometimes, you'll have enough warning time to get in a safe position. What should I do if I feel faint? Lie down if possible, or sit down. Fainting from a standing position is more dangerous, so it's best to avoid it if at all possible. Even if you don't actually faint, don't get up until your symptoms pass. How can I avoid fainting in the future? If you've had more than one fainting episode, see your Healing Hearts Clinic cardiologist for help. Your cardiologist can work with you to diagnose the origin of your fainting, and by treating the original cause you may be able to avoid future episodes. Some men and women may be more prone to fainting than others, even with a well-controlled heart condition. If that's the case for you, your cardiologist may recommend taking precautions like moving slowly when getting up from a sitting or reclining position, eating regular meals, staying hydrated, and always taking your medicine exactly as prescribed. If you’re concerned about fainting, use the online booking tool or call to schedule your appointment with one of the Healing Hearts Clinic cardiologists today.